Clouds came in and thunderstorms were forecast so we decided to hike in the trees. Alpine lakes would have been preferred but Caples Creek, nature, exercise and good company made for a nice Sunday. 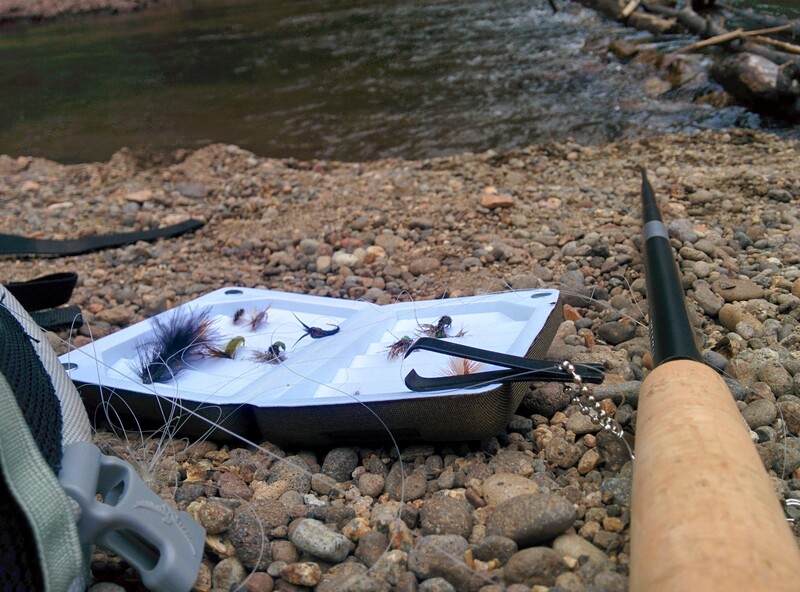 It was my first attempt at tenkara fishing. I had and have not a clue about what I’m doing. I’ve never been a fisherman and I’m taking the “just figure it out” approach. Lisa watched me cast just long enough to thoroughly tangle my level line and lose a fly before I retreated to the beach and a pb&j. My fishing setup weighs about half a pound. With that penalty, why not? My desire is mostly to hold fish in my hands and then put them back. Seems like a fun way to connect with nature. Very cool Jack. Welcome to the tenkara party. I’m an addict going on 5 years. There’s a learning curve, but luckily it’s short. You’ll be untangled and into fish in no time.